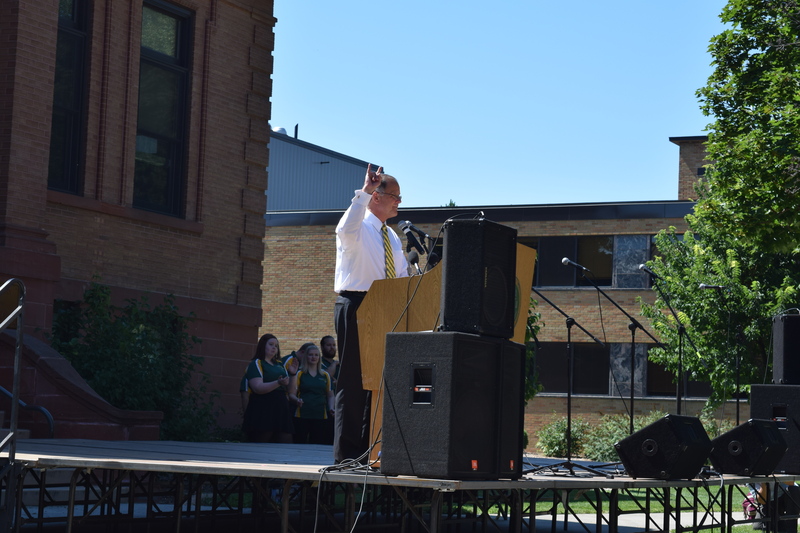 President Dean Bresciani greets freshmen Monday on campus after an eventful summer. North Dakota State President Dean Bresciani faced more than one big issue over the summer break, with problems incurring with media regulations, his contract and NDSU’s budget. A first update to the situation came as a media release from NDSU media relations coordinator Sadie Rudolph, saying Bresciani has directed the athletics department to rescind the new media guidelines. The release also added that Bresciani was not informed in advance of the release of the guidelines. “This is not the way NDSU treats local journalists and our many loyal fans who value the breadth of news coverage NDSU enjoys,” Bresciani said in the release. Following the initial press release rescinding the guidelines, Bresciani sent a Listserv to NDSU employees pertaining to the event. In the email, Bresciani explained how media outlets won broadcasting rights to NDSU sporting events as what occurs every few years. Bresciani then described how he was not consulted of the media guideline changes, and was unaware of their existence so he didn’t know they would be made public. He said he was also out of state at a funeral when the new guidelines were announced. Bresciani said in the email he briefed North Dakota State Board of Higher Education Chancellor Mark Hagerott and the SBHE of the new guidelines through an email and offered his support to the athletics staff and the guidelines. After learning he had misunderstood the new guidelines, Bresciani asked that the new guidelines be rescinded. Following this email, SBHE President Kathleen Neset announced a third-party investigation into the issues pertaining to athletics and media guidelines. Bresciani then sent another Listserv, welcoming an objective investigation into the matter, and that he originally stood by the new media guidelines, though not by the process in which they were arrived to. “Although I grasp the direction and ultimate goals of our Athletic Department regarding this matter, their process was flawed to a level that requires an immediate revocation of the media policy pending further study,” Bresciani said. Forum Communication Co. blogger Rob Port found texts exchanged between Bresciani and Athletic Director Matt Larson which seemed to show Bresciani’s knowledge of the situation. The Forum’s opinion board later called for Bresciani’s resignation. On June 29 the North Dakota State Board of Higher Education postponed extending Bresciani’s contract, with the vote reflecting Bresciani’s annual performance review. In Bresciani’s review, Hagerott outlined communication and teamwork issues with himself and other colleagues of Bresciani. Bresciani’s contract was the only one of seven contracts of North Dakotan university presidents up for renewal that was not approved. A further vote on Bresciani’s contract extension will occur in November. Bresciani sent a listserv email on June 15 updating NDSU’s status of impending budget cuts due to a state shortfall of revenue. Bresciani also said that the possibility of a state-mandated one-time cut could occur later in the school year. “The governor directed us to plan for a 10 percent decrease in state funding,” Bresciani said, adding that non-academic units have been prepared to cut 10 to 15 percent of their budgets. Bresciani also announced a Voluntary Separation Incentive Program, in which participants could receive voluntary compensation for their separation of employment with NDSU. 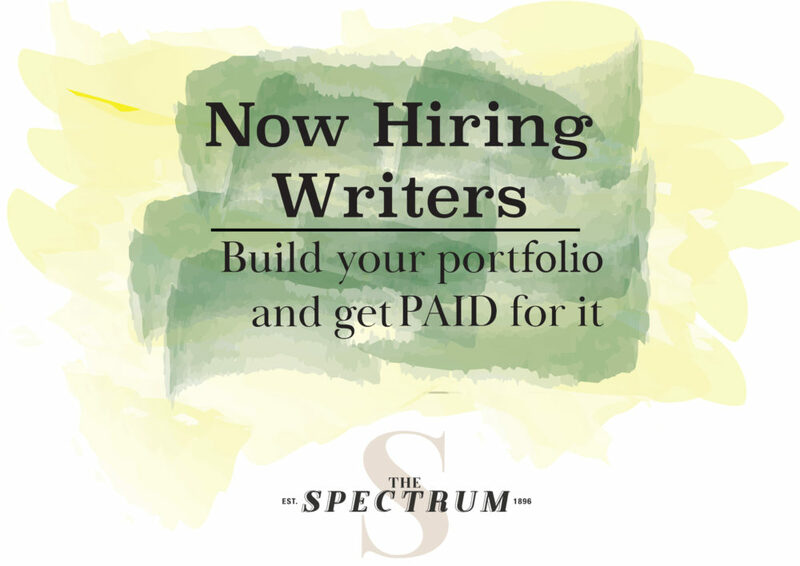 To qualify, benefactors must have been able to reach the rule of 70, where their age in addition to the years of service to NDSU would be greater or equal to 70.